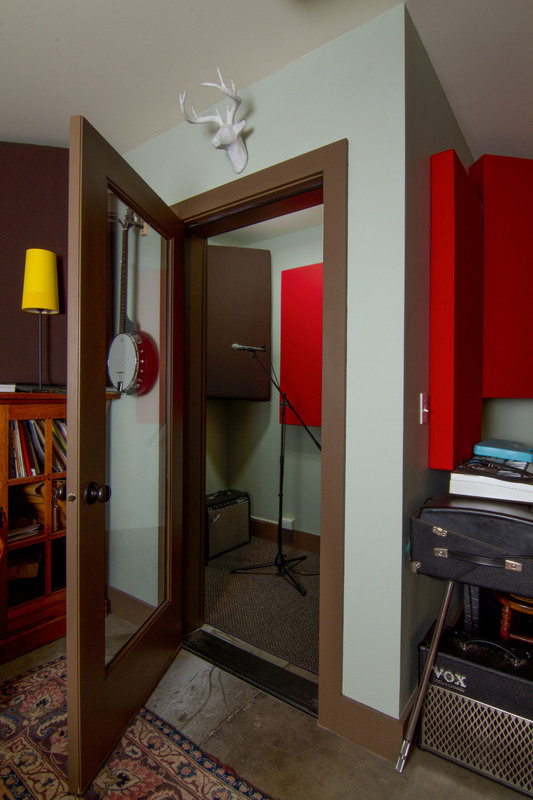 The space was designed for a full time recording artist during the day with the need for full band performance rehearsals at night. With other homes in close proximity much care was taken in designing and constructing the wall assemblies to eliminate noise issues. The finished product resulted in no noticeable sound transmission to neighboring properties, even during late night sessions.